The hotel is centrally situated in the heart of Cape Town's historical heritage and is surrounded by some of the 'Mother City's' architectural and historical gems. Close to Greenmarket Square, the Company Gardens, and Castle of Good Hope. The historic art deco building has been thoroughly renovated into a comfortable hotel. Turning the beautiful 1930s headquarters of jewellery giant American Swiss, into a beautiful establishment was an easy thing to do. Having creativity, style, luxury and comfort come in abundance with this glorious, grand old day property. 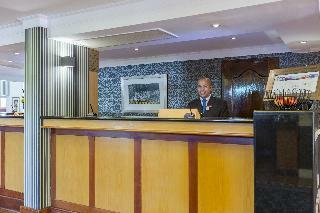 The hotel features a lobby which offers services and facilities enough to ensure a pleasant stay. Each of the rooms has been individually decorated in an inviting and contemporary style. The hotel offers a hot tub, where guests can relax and unwind.Front desk is available 24-hours, with valet parking service. Facilities are at your disposal for events, meeting. Including a fully fully-equipped conference room. With a short walk stroll to entertainment, and just .20 km from the hotel a city sightseeing bus stop. Kings in Cape Hotel is located in the heart of the bustling Cape Town and just off the vibrant Long Street and features 16 carefully appointed en-suite rooms. Ideally Located In The Cape Town City Centre 5 minutes distance from the CTICC and the Victoria and Alfred Waterfront.Kings in Cape Hotel has 16 Non-smoking air-conditionining rooms tastefully decorated with warm, welcomingcolours, laminated flooring with free and uncapped wifi throughout the hotel.Rooms is spacious and are fully furnished with a standard bed, and DSTV satelite television and tea and coffee making facilities in the room as well as a mini-bar fridge on request. The hotel is much more than a place to stay. Located right in the heart of the city close to the African market, Greenmarket Square, you will be staying at hotel more antique city of the Cape, the lively Long Street and St Georges Mall with its shops, bars and restaurants to visit. It is only steps away from major points of visit, such as the gardens of the company, the Parliament and museums. Other points of interest may be by public transport (bus MyCiti) or a radio taxi. The Convention (CTICC Cape Town) Center is down the street and is located a 15-minute walk from the hotel. This property is a combination of historical and contemporary finishes. This apartments is set right on the dunes, 20 metres from Milnerton Beach, and enjoys panoramic views of Cape Town's Table Mountain and Robben Island. It is situated a short 10-minute drive from the world-famous V&A Waterfront and the centre of Cape Town is just a 20-minute drive away. The Canal Walk shopping centre, Ratanga Junction theme park and a health club are all just a few kilometres away.This stylish, luxury suite hotel comprises a total of 12 accommodation units and welcomes families. Facilities on offer to guests at this air-conditioned establishment include a lobby area with a 24-hour reception and check-out service, and a hotel safe. It also offers a bar, and a restaurant. 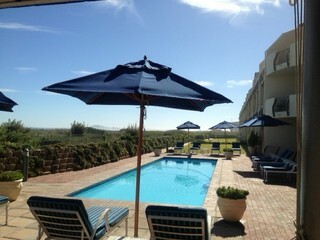 Guests may take advantage of the room and laundry services and there is parking available for those arriving by car. Business travellers will appreciate the business centre with fax, printing and photocopy facilities. High-speed wireless Internet access is available for individual laptops via wifi technology.Each luxury suite is sea-facing and comes with an en suite bathroom with a separate bathtub and shower as well as a spacious lounge, a dining area and a fully equipped kitchenette with a microwave, tea and coffee making facilities. They are also equipped with a hairdryer, a direct dial telephone, satellite/ cable TV,Internet access are available at an additional cost. Furthermore, an ironing set, a double bed or twin beds, individually adjustable air conditioning and heating and a safe are provided in all accommodation as standard. The suites are very suitable for families and all have large sun-filled terraces with superb views of Table Mountain and Robben Island and easy access to the beach. 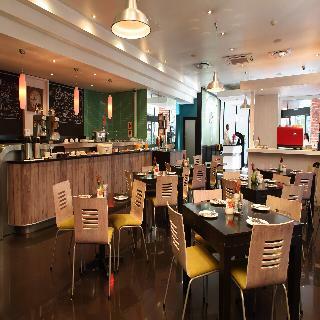 This hotel near Cape Town Center is located fifteen minutes walk from Quarter Lifestyle Village, Cape Town and Cape Town International Convention Centre. Victoria and Alfred Waterfront and Greenmarket Square are also within 2 kilometers. In addition to a restaurant, this hotel features an outdoor pool and a gym. You can enjoy free Wi-Fi in public areas and free self parking. 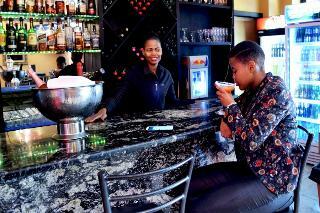 Other facilities include a bar and lounge, business center and a meeting room. The rooms offer bathtub and separate shower, coffee and tea and flat screen television with satellite channels. Also you find a hairdryer and a desk. 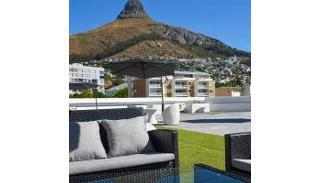 The guesthouse is tucked between Table Mountain, the central business district and the Victoria and Alfred Waterfront. It lies in the heart of the village, on historical Loader Street. It is centrally located, minutes from the Cape Quarter Shopping Centre, the Victoria and Alfred Waterfront, restaurants, bars and fashionable nightspots.In the heart of the historical village, this guesthouse is elegant and discreet, with a relaxed European feel. This beautifully restored 9-room Cape Georgian Manor House, with a tranquil terrace and pool, overlooks the village, the famous Table Bay and the distant Stellenbosch mountains. Guests can spend the day at the pool and end it with an aperitif on the terrace and a quiet dinner at a local restaurant, or join in the fun of the pulsating nightlife within walking distance from the hotel. The establishment features a BBQ, lounge area and complimentary wireless Internet access and.The guesthouse features luxurious rooms, all featuring a refreshment station with tea and coffee making facilities, a mini fridge, selected satellite television, a safe, fan and wall heater.Guests can enjoy leisurely hours next to the outdoor swimming pool on the terrace overlooking the village and enjoy breakfast at the Village Café, situated on the corner of Napier and Waterkant Street or at Cafe Charles at an additional cost. 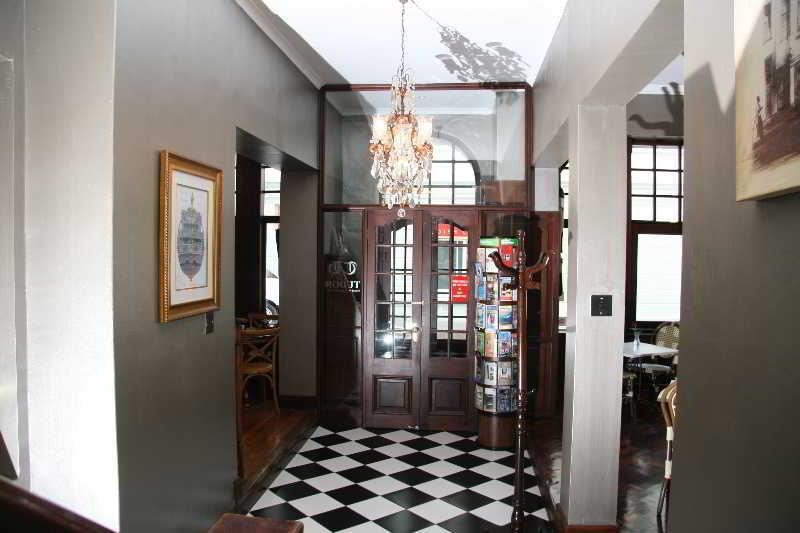 Mojo Hotel is a new hotel situated between Beach Road and Regent Road in Sea Point. We are offering a mix of spacious hotel accommodation and compact pod hotel rooms ataffordable prices, in a central location with a sea and mountain views.In addition to our 25 hotel rooms and studios, our 22 crash pads introduce Cape Town to the global concept of pod or capsule hotels where small compact designer rooms are offered at low prices. Parking is on a First Come first serve basis. Nestled at the foot of Table Mountain, with views of the Cape Town city skyline and Table Bay, lies the Best Western Cape Suites Hotel, a village-style hotel with a total of 60 studio, one, two and three-bedroom suites. Guests will enjoy a home away from home environment in spacious accommodations, air conditioned suites with fully equipped kitchens, all at 3 Star standards. Our suites can accommodate several guests, providing twin beds in each bedroom and a double sleeper couch in the lounge. 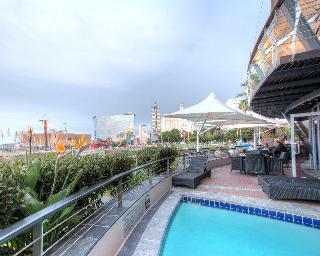 Ideally located, the hotel is a five minute drive to the famous V & A Waterfront and a 15 minute drive to the beaches of Camps Bay and Clifton. The Best Western Cape Suites Hotel provides a sensible alternative in offering affordable accommodations for tour groups, business travelers, families and individuals who are looking for spacious accommodations with convenient amenities in Cape Town. Enjoy your stay. City Lodge Hotel GrandWest is themed on the original Cape Dutch style architecture and is 20 minutes from Cape Town International Airport, the city centre and the V&A Waterfront. The hotel is part of the GrandWest Casino entertainment complex, boasting a cinema complex, ice-rink, restaurants, bars, gaming tables, slot machines, grand arena and a kids entertainment area. Pets are not allowed at this Hotel.